Just like that, within one episode, the impression of Orga being a Griffith-type (or Harry McDowell-type) of leader swings back into a role more akin to Kamina again. If that doesn’t raise any red flags about his inevitable demise (never mind being unaware of ANOTHER mole on the ship as far as we know), I don’t know what will. Still, like every minute character moment during downtime it helps to illustrate what kind of person he is. When he observes dear Mika and others learning from Kudelia how to read and write, he doesn’t see it as a threat to his authority, but something beneficial to them as individuals. Then there is the revealing conversation he has with Biscuit regarding why he’s moving directly towards a potential backer, Teiwaz, when they could do something less risky. This is juxtaposed with the continuing complexity of Mika. In this episode we not only see how (understandably) detached from world events, but also that despite his rather loyal following to Orga he has his own dream: Running his own farm. Think about Gundam for a bit. For the majority part there are very little in terms of protagonists that have this kind of motivation aside from probably Usso from Victory Gundam. Even with all that power in his hands through the Alya-Vijyana System, never mind Barbatos, or the well-meaning ideals of Kudelia, Mika seems to only want to plow his field like Cincinnatus after all is done with whatever Orga’s plans are. Sure beats the usual career pilots or visionaries that earlier Gundam series have had. His inordinate fealty to the guy does not seem to be akin to that of a fanatic but as a true little brother who believes that the big brother can show him the way to a better life, and that he will do anything for him to make it possible. 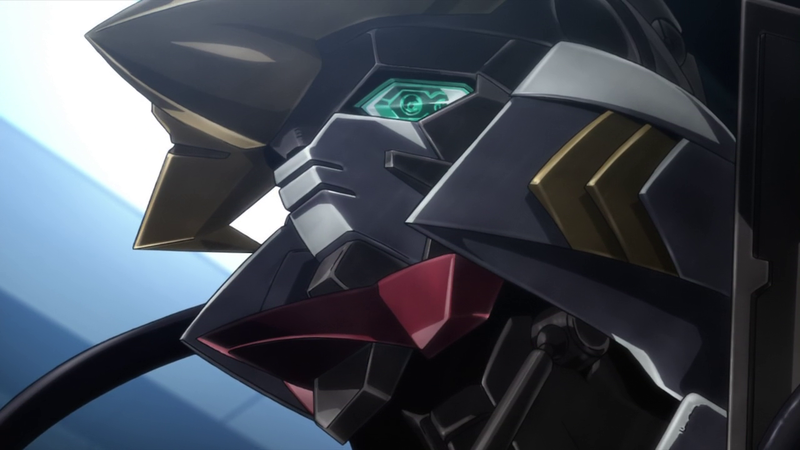 If Orga bites the dust, it is gonna be Hell for Mika. If you thought Simon after Gurren Lagann Episode 8 was bad, I shudder to think what somebody with solidified commitment (vis-a-vis Simon's characteristic uncertainty) will do. Will he shake off the melancholy that will befall him if that’s the case? 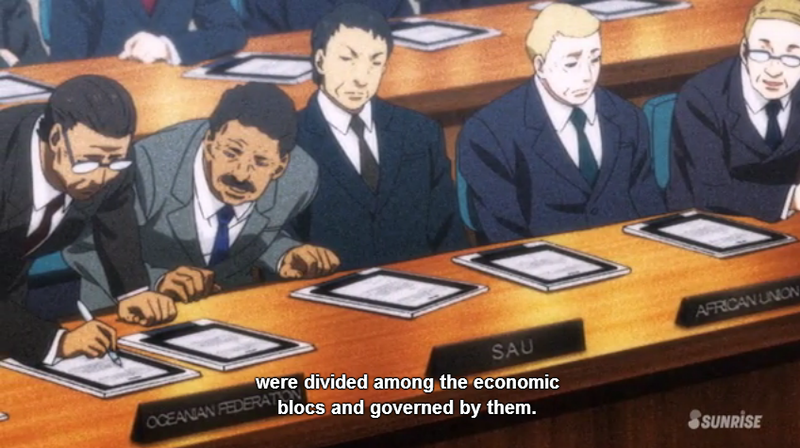 Will he turn into some political ideologue that attaches to Kudelia’s ambition to economically liberate Mars? Who knows, but it is doubtful we will see much of it, as Tekkadan will be met by cool hat guy from the intro, as well as the original owner of their ship. But who knows? This show will definitely surprise again. Until then, just savour the downtime that furthers growth in the characters, even if it is just learning how to read and write, and not finding some amazing new technology or move to beat bad guys with. Kinda getting tired at all this talk of budgets and economics. It was refreshing the first and second times, but Biscuit should give it a rest for a while. I keep making allusions to Gungrave. If you haven’t watched it yet, please do. It’s Berserk with an ending. You’ve NO idea how much that gives it an edge. The more things change the more things stay the same. Dig those African Union reps.